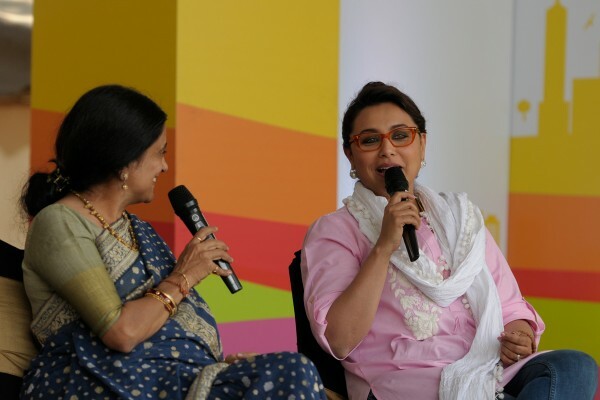 The highlight of BLF’s first day was the arrival of the bollywood diva, Rani Mukerji. The crowd that had gathered in large numbers waited with bated breath as the “queen of hearts” arrived at the venue to address them all. There were cheers as she took to the stage and waved at her fans. Rani’s recently released film Mardaani has garnered accolades for her portrayal as a tough female cop. Her role as Shivani Shivaji Roy broke stereotypes and was critically acclaimed. The session was a very interactive one with Rani in high spirits. You either get recognition for your designation or your achievement, she contends. Female officers carry out their duties exactly as a male would. 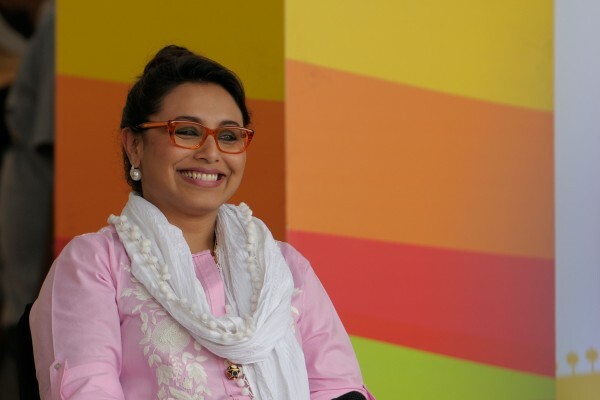 “Mardaani not only got audience and critical appreciation, but made lots of women want to get into police and take charge which heartens me as an actress,” Rani beamed. If parents can let their girl learn dance and music, they can also send them off to learn self defence — which is the order of the day! On the depiction of women in cinema, Rani feels cinema is just a mode of entertainment where the viewer can choose whether to be inspired by the good or the bad. The film also portrayed Rani in a new light, in plain clothes without any of the glamour we’re used to associating with Bollywood actresses. She felt that, today, people are accepting different cinema, allowing makers to experiment and have the liberty of painting character to the fullest. Expectedly the conversation honed in on marriage, which Rani feels doesn’t change much if you marry for the right reasons. It can make you happier and provide another person to love and be loved by in your life. An interesting story will help and beauty can’t be relied on, especially as it doesn’t last forever. 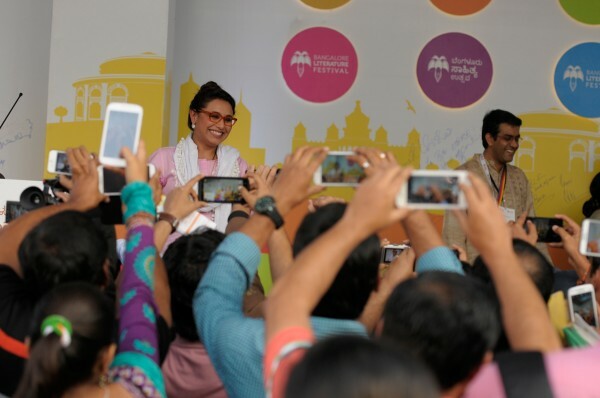 The session concluded to much applause and cheers and for Rani as she indulged the audience by posing for photos.